The spokeswoman also said that Russian meddling in the 2016 U.S. election and allegations that Moscow used a nerve agent in the attempted assassination of a Russian double-agent on British soil did not come up in the telephone conversation. 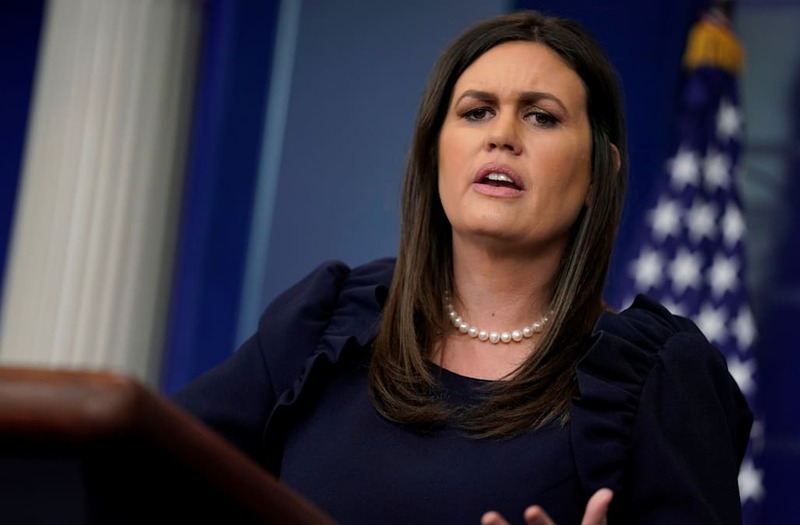 “We want to continue to have a dialogue with Russia, continue to talk about some of the shared interests we have, whether it’s North Korea, Iran and particularly, as the president noted today, slowing the tensions when it comes to an arms race,” Sanders said. Official Russian results gave Putin 76.7 percent of the vote in an election that international observers described as tainted by unfair pressure on opposition candidates and the exclusion of one prominent opponent to the former KGB official. “Choice without real competition, as we have seen here, is not real choice,” the Organization for Security and Cooperation in Europe (OSCE) said in a report on the contest. Trump supporters noted Tuesday that Obama had placed a congratulatory telephone call to Putin after elections in March 2012. At the time, Obama had seemingly snubbed the Russian leader by waiting a week before placing the call — but also publicly said he wanted better bilateral relations. At the time, Russia had already invaded the country of Georgia but it would be years before it annexed Ukraine’s Crimea region or interfered in the U.S. presidential election.